RenoWatt: A One Stop Shop Facilitating Energy Performance Contracting for Public Authorities in Belgium: Within the project RenoWatt, the Local Development Agency of Liège area (GRE-Liège) supports 13 municipalities in Belgium in implementing energy saving measures like for example the insulation of roofs, windows or the building envelope, the usage of renewable energy or optimization of building operation in public buildings. 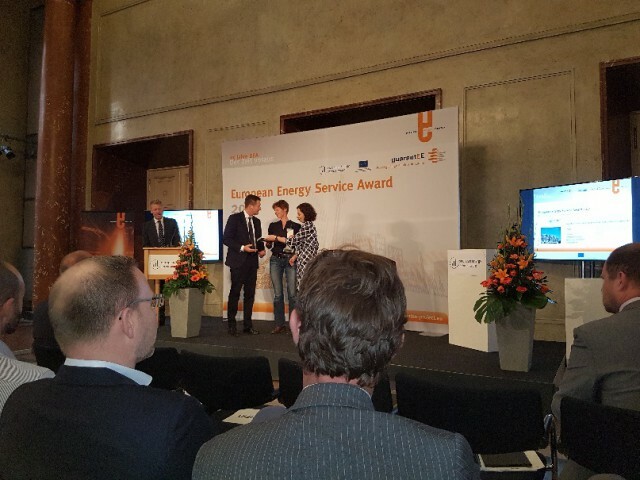 Therein, the agency supports the tendering process, helps to choose energy service companies (ESCOs) and performs energy audits. Thus RenoWatt contributes to strengthen the local economy while reducing energy costs by 22 million Euros and prime energy consumption by 32 GWh per year. The experiences are shared within workshops and conferences with further municipalities.